Parents vs Kids. Who's safer online? 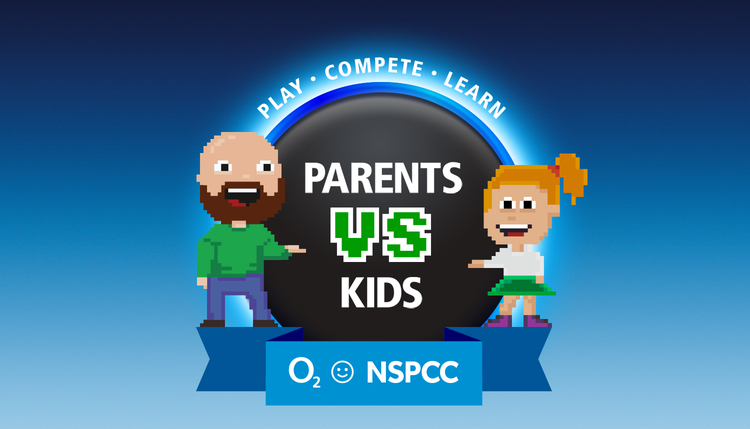 Together with O2, we have created Parents vs Kids; a fun, educational quiz for parents and kids to test their knowledge of the online world. The world of live-streaming and Snapchat didn’t exist when most parents were growing up, so now that their children are exploring it, parents may not feel quite as well informed as they would like to be to help their children stay safe in this space. Get your family together and play Parents vs Kids Quiz. It’s a great way to find out who knows more about all things online, as well as learning more about helping you child to stay safe. The quiz features guest presenters Richard Osman and Lauren Layfield, who will take the role of quizmasters. It can be played on any Alexa device, just say ‘Alexa, play Parents vs Kids’. Or if you don’t have an Alexa, download the free Alexa app to your phone. If you find that you’re not doing as well as you had thought you would, or you’re struggling to score points against your kids, you can always refer to Net Aware to brush up all the things you need to know to help keep your children safe online. Remember, talking to your children is one of the most important things you can do to help keep them safe online. Have conversations about online safety regularly, and build these into other discussions. Ask questions about what they do online, such as what sites they visit and who they talk to. Make the use of the internet a family activity. Remember to share these rules with babysitters, childminders and other family members. Talk to other parents about internet usage and what they do and don’t allow. You can find some of our conversation starters here, and information on further support below.